In 1865, a Union general arrived into Galveston, Texas, and discovered that the residents there were living in a state of denial. The Civil War had ended two months earlier, but 250,000 people were still being held as slaves in the state. On June 19, General Gordon Granger stood in a public square and announced the end of slavery. It set off joyous celebrations then, and was commemorated annually after that. But over time, the holiday slipped into obscurity. 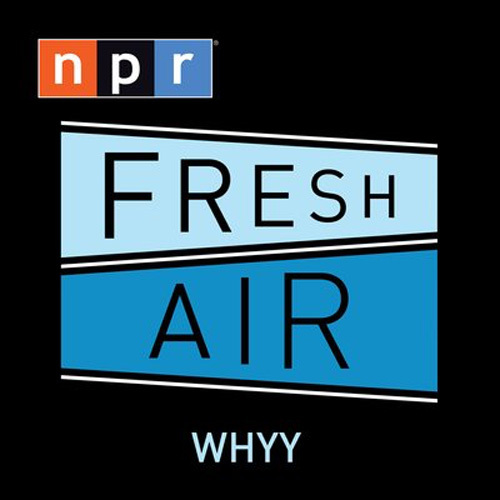 On the 150th anniversary of Juneteenth, historian Kenneth C. Davis tells Here & Now's Peter O'Dowd he thinks it's a day that more Americans should celebrate. "It was clearly a crowd both of whites and blacks. This was a moment of extraordinary jubilee, liberation, emancipation and for some, the slaveholders, disbelief that their world had crumbled around them." "We’re talking about June of 1865. The war had ended on April 9 with Lee’s surrender to General Grant. But word traveled slowly in those days, in part because communications were slow and Texas was of course the westernmost part of the Confederacy. But there was a more important reason that people had not heard about the Emancipation Proclamation, which is that the white slaveholders weren’t about to tell their slaves that they were free." "The early celebrations, particularly in Texas, were part history lesson, part civics lesson, and part church seminar. This was definitely something that came out of a celebration that was centered around black churches which were probably one of the safest places for the emancipated people of Texas, and later in the rest of the Confederacy to be. White former slaveholders were not thrilled about this idea, and they were doing everything in their power to keep slaves either in servitude or to keep them repressed and on the plantations." "The hymn singing and the sermons gave way to bigger celebrations, and as this was Texas of course, barbecue gradually came into play. Very important component part of this in the early years was something called red soda, which was a strawberry-flavored soda. And the reason it became popular and part of the celebration was that as these people became free and had some wages, they were able to afford buying pop. So it was a little bit of consumerism, creeping into this. 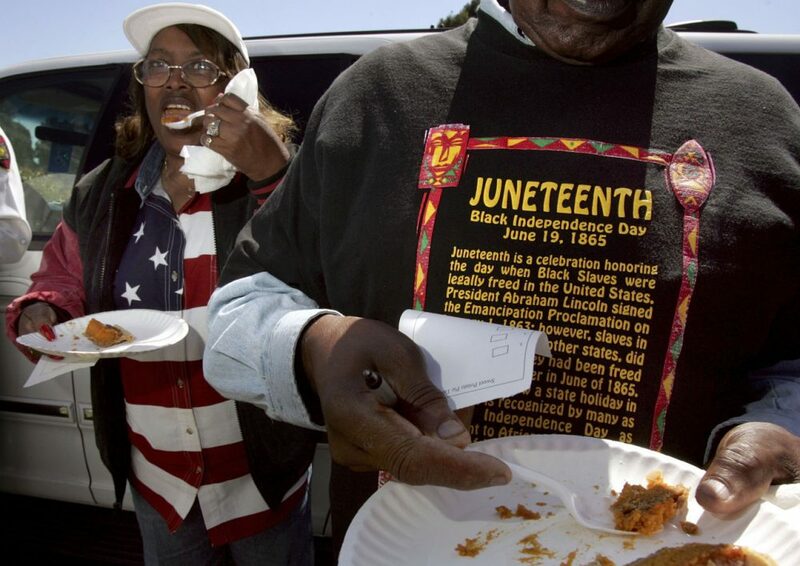 But barbecue and soda really became staples of the Juneteenth celebration." "I think it faded in part because it was never officially supported. In fact, it was officially suppressed, certainly in the years of Jim Crow and the years of the Klan and the years of lynchings. This was not a holiday that people were quite as eager to celebrate, because it had become dangerous in some respects, and time had passed. This very much folk tradition, as people aged and time went by, really did get kind of forgotten in the dust bin of history. And certainly as people started to move north, it lost much of its flavor and appeal." "We do have two histories in this country - black and white, separate and unequal. And Juneteenth is part of that what we call African-American history that unfortunately gets segregated, and it shouldn’t be. After all, when you think about the end of slavery, that isn’t a piece of African-American history, that’s a piece of American history. After independence itself, what is more significant in our history then the end of this terrible crime against humanity that we call slavery? This country was conceived in liberty but borne in shackles, and until we recognize that and have a conversation about that, I think we’re being foolish. And of course the issue of race, as you can see in headlines, is with us every day. You don’t have to scratch very far." "Juneteenth of course is still not recognized nationally or federally, but it has become more recognized at the state level. A number of states have recognized Juneteenth as a holiday, beginning with Texas in 1980, where it is a paid state holiday. Other states have recognized it, it’s on the calendar - it’s not necessarily a state holiday. I believe that number is well up into the 30s of states. It’s still not a day that is in the popular consciousness, even though it is celebrated. I think that’s partly because it is viewed as 'well, this is an African-American holiday,' as opposed as being a meaningful date on the national calendar, which I believe it is." Kenneth C. Davis, author of books including "Don't Know Much About History" and "The Hidden History of America At War." He tweets @kennethcdavis. This segment aired on June 19, 2015.